The California Gold Rush (1848–1855) began on January 24, 1848 when gold was found by James W. Marshall at Sutter's Mill in Coloma, California. That news would eventually bring 300,000 people to California from the rest of the United States and abroad—driving out the original ‘Native Californians’ and completely altering the landscape. 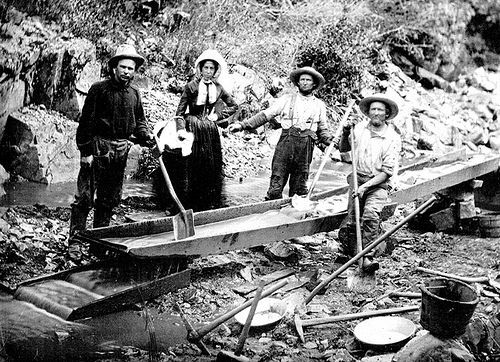 The California gold rush was in full swing. 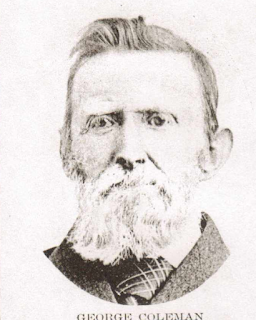 My Great, Great Grandfather, George Coleman made a decision. He, too would join the trains of eager gold seekers and make his own way to California. A determined young man, he did exactly that. On arrival, he witnessed first-hand the ‘fever’ that affects people seeking after the elusive gold metal. The sacrifice of families and even lives in its pursuit. So, George, whose motto could easily have been: ‘A bird in the hand is worth two in the bush’, decided to take a different course. Instead of joining the men—and women—sifting frantically through the waters and soils of California, he decided on a more practical avocation. He would, instead join the ranks of those who supplied necessities to the gold-diggers. He took a job washing dishes. Which paid a healthy $15.00 per day. 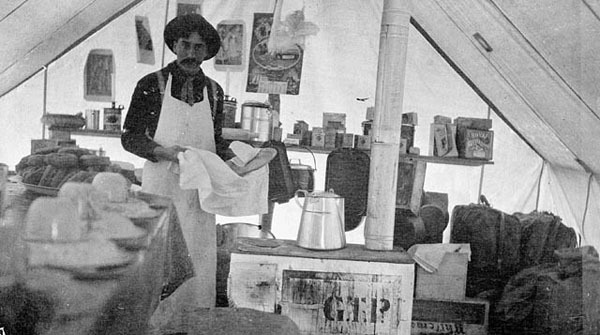 Many flocked to California during the seven years of the California Gold Rush seeking a fortune. Great, Great Grandpa George was one of few who found one. Tell me about yours . . . Such a pratical and pragmatic ancestor. And his dish-washing money was eventually invested in a mercantile operation and a very successful family legacy! Smart man! Sort of reminds me of the many who buy lottery tickets every draw . . . and those who put the same amount (or more) in the bank every payday . . .
A sensible kind of guy. My ancestors...well, I am reminded of my Great Grandmother Sheppard who came to Canada to join her husband who had gone on ahead to get work and make a home for his family. She came steerage with two small children and an infant only months old leaving behind her aging and widowed mother my Great Great Grandmother who, according to census reports, was classed as a 'work woman'well into her 70's. Steerage with three small children?! Yikes! Work woman until into her 70s? Sound about right. Those women didn't quit until they were buried!